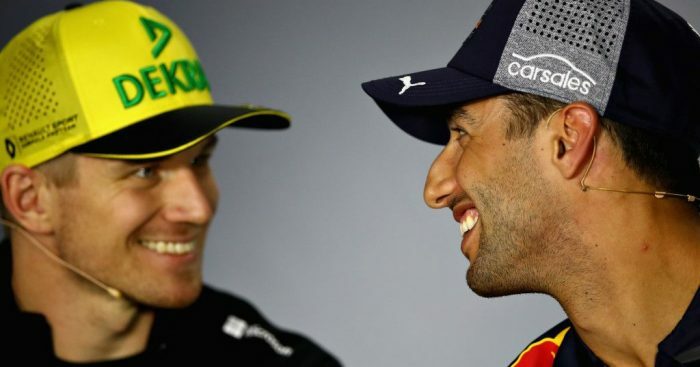 Renault F1 executive director Marcin Budkowski thinks Nico Hulkenberg will see new team-mate Daniel Ricciardo as “an opportunity to prove himself”. Hulkenberg holds the Formula 1 record for most races without a podium finish, but has established himself as the team’s lead driver since joining the revived works outfit in 2017. After racing alongside Jolyon Palmer and Carlos Sainz in previous seasons, the German will now be partnered by a race winner for the first time after Daniel Ricciardo made the switch from Red Bull. Speaking to Motorsport.com, Budkowski said: “I don’t think Nico was resting on any laurels. Carlos was a good push for him last year and we were very happy with the interaction of the two drivers. A line-up comprised of two equally talented drivers can often result in friction both on and off the track, but Budkowski doesn’t see any such issues developing between Hulkenberg and Ricciardo. “We’re going to have an interesting interaction there between two drivers who have never been competing against each other in the same team, who are both highly rated,” he explained.